Hello Stampers! It's Tuesday, which you know what that means, right? It's Nacho Tuesday and that means we have a new Nacho challenge. 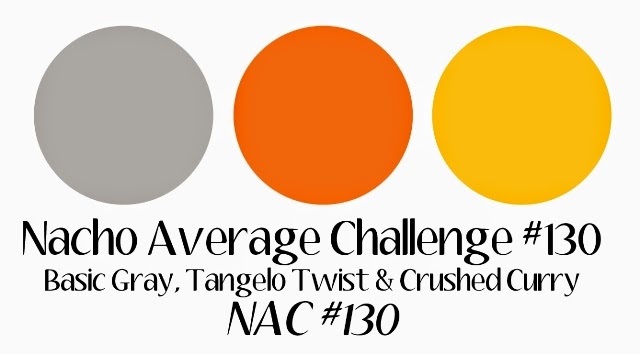 This week we have a color challenge for you to play along with us. Make sure you check out our blog for inspiration with this color combo. Initially, this color combo had me stumped. I punch out some bows with the bow builder punch then, sponged the IrresistiblyYours DSP, which is featured in the current SAB catalog. I really like this DSP. Then I got stuck, so I kept it simple. Does that ever happen to you?